The province of Zamboanga Sibugay is a new and exciting tourism destination in Zamboanga Peninsula. 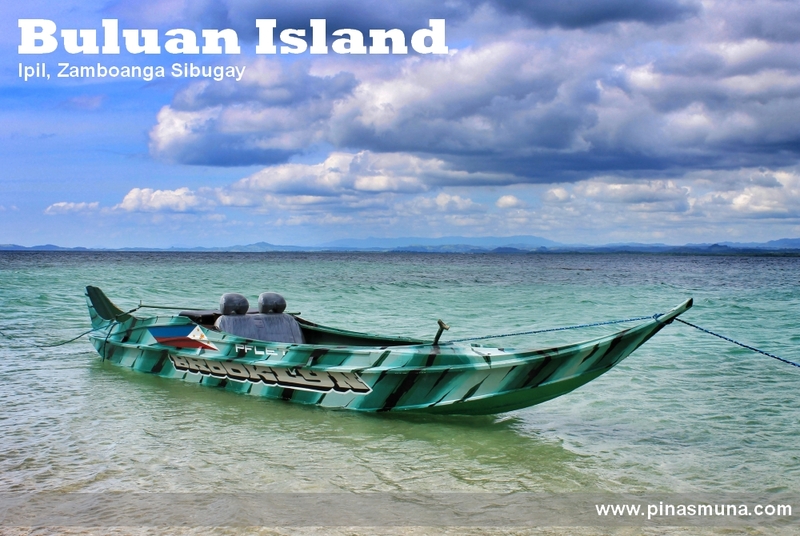 Created in 2001, this young province is very rich in natural wonders which are now being developed, through the combined initiatives of the Department of Tourism, the Provincial Government of Zamboanga Sibugay and the Municipal Government Units, to make them more accessible to visitors. At the capital town of Ipil, one need not to go far just to have a taste of what Zamboanga Sibugay has to offer. 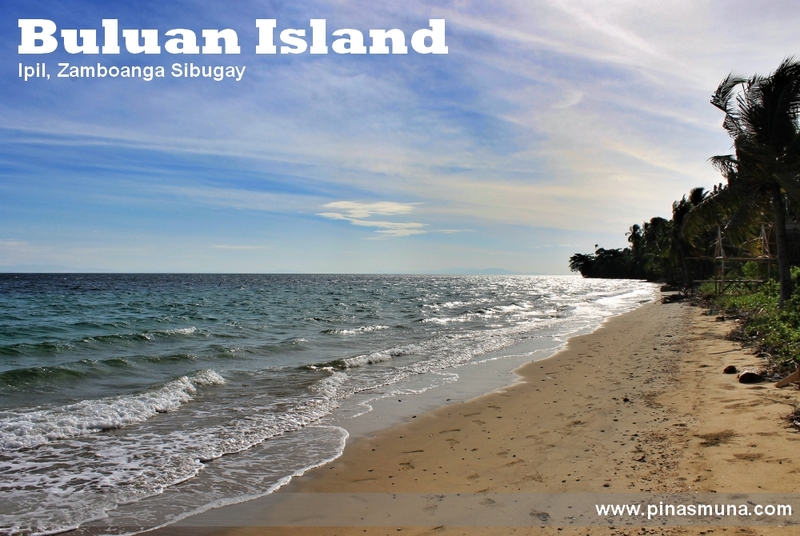 Located some 7 kilometers from the port of Ipil, Buluan Island is a famous beach destination among Sibugaynons and is now slowly gaining popularity in nearby towns and provinces. Buluan Island features white sand beach and clear blue waters. 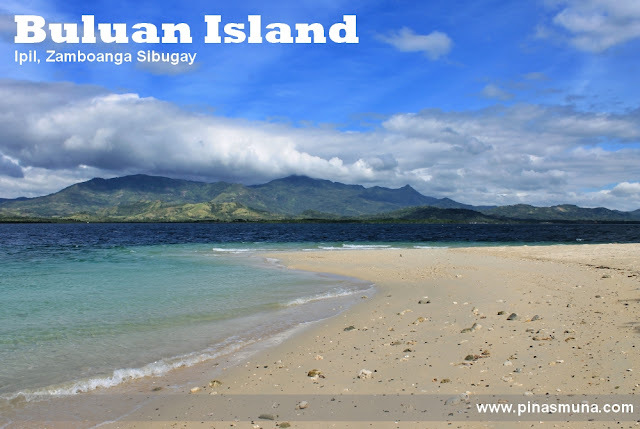 The uncombed sand may not be super powdery fine but Buluan Island can offer seclusion and tranquility. The island is privately owned but no entrance fees are collected from visitors. The island is still uncommercialized. Since there are no resorts nor restaurants on the island, visitors should purchase food and drinks from the town. There are bamboo cottages and tables available to visitors at no cost. From the cottages, you can enjoy the fresh sea breeze while admiring the view of the highlands of Zamboanga Sibugay, or just head to the beach and enjoy a refreshing swim in the clear waters. 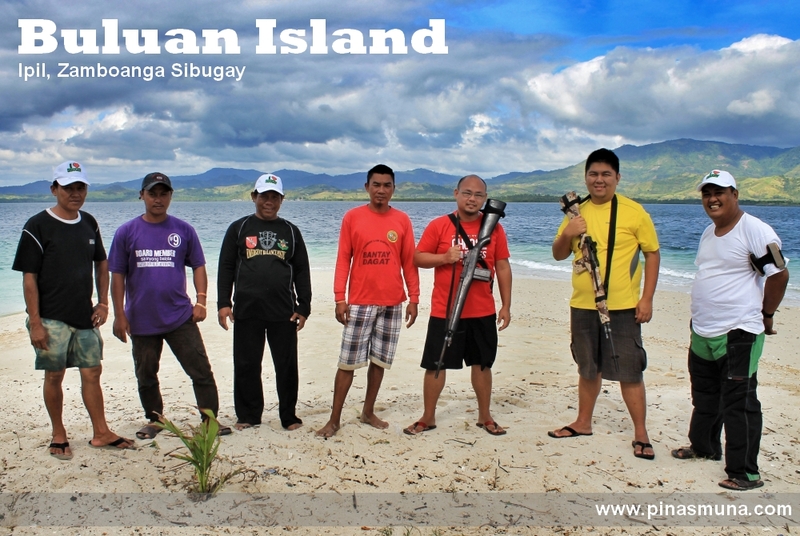 Buluan Island is also ideal for weekend overnight camping. For added safety, campers may set up their tents inside the military compound which is easily accessible from the island's Patriot Beach. There is no electricity on the island, but the military camp has solar powered generators installed used to power light bulbs and small electronic devices. Important: Visits to the island shall be coordinated with the tourism office, located at the Zamboanga Sibugay Provincial Capitol, at least two days prior to the visit (see contact details below). The tourism officers will then be the ones who will contact the caretakers of the island and arrange transportation for the visitors. Once all approvals are secured, the tourism office will confirm your scheduled visit. Click here for instructions on how to reach the Zamobanga Sibugay Provincial Capitol. How do we get to Buluan Island? The town of Ipil is right in the middle of Zamboanga City, Dipolog City and Pagadian City. Several airlines serve flights from Manila, Cebu and Davao to these cities in Zamboanga Peninsula. From Zamboanga City, Dipolog City and Pagadian City, there are buses (Rural Bus) with daily trips passing through Ipil. Travel time by bus is 3-4 hours. 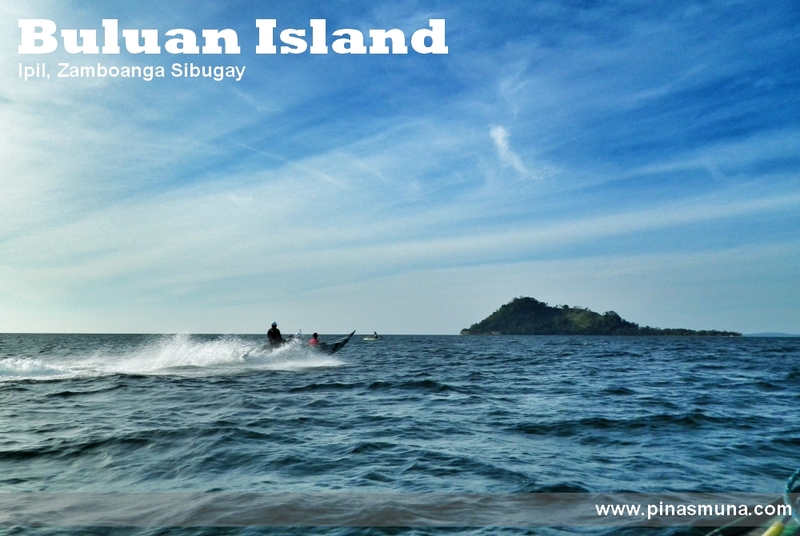 The fastest and ideal way to reach Buluan Island is through speedboats stationed at Ipil Port. Travel time from Ipil Port to Buluan Island is 10-15 minutes. The speedboats are powered by three engines and can reach speeds more than 3x faster than regular pumpboats. Each speedboat can seat 2-4 visitors plus the two boatmen. These are the same speedboats that Governor Rommel Jalosjos uses to bring his guests to the island. As of January 2013, there are three speedboats available to transport visitors. For bigger groups, there are pumpboats available for rent at Barangay Buluan. Please contact the tourism office for details. How much is the rental of the speedboat going to Buluan Island? The speedboats are owned by the provincial government of Zamboanga Sibugay and no rental fee is charged. However, visitors will have to bear the gasoline/petrol expenses. Each speedboat would consume about 20 liters of gasoline for the roundtrip ride. Check with the tourism office for an up-to-date estimate. 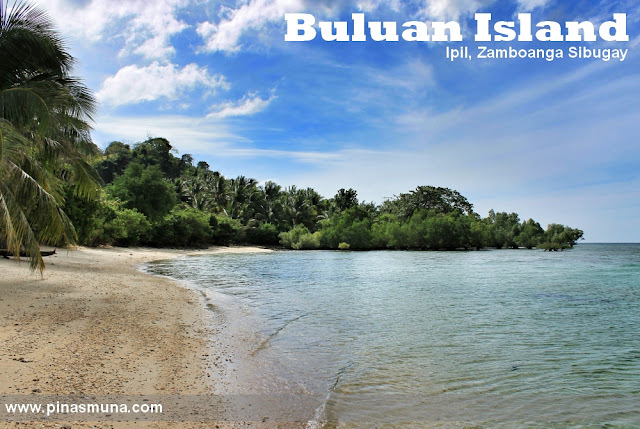 When is the best time to visit Buluan Island? The best months to visit is between March-May and September-November when the waves are much calmer. Avoid the months of June-August as this is when heavy rainfalls are expected. Is it safe to travel in Zamboanga Sibugay? Absolutely safe! Governor Jalosjos, through the support of his Bantay Dagat Team, has worked and continues to work hard in keeping peace and order in Zamboanga Sibugay. The Provincial Fishery Law Enforcement Team, led by officer Ben Hassier Anduhol, is doing an excellent job in keeping the coastal waters of the province safe for fishermen, fishing vessels and tourists. We personally invite you to Come and Explore Zamboanga Sibugay and witness its beauty and experience the unique Sibugaynon hospitality. This trip wouldn't be possible without the help of Ms. Edilee S. Daarol, Acting Supervising Administration Officer of Zamboanga Sibugay Tourism Office; Ms. Novilla Quite, Administrative Officer; and Mr. Richard P. Acabo, Administrative Aide. We also wish to express our gratitude to Hon. Rommel A. Jalosjos, Governor of Zamboanga Sibugay, for sponsoring our visit to Buluan Island. Lastly, we wish to thank Mr. Ben Anduhol and his team for making our trip comfortable, safe, informative, fun and entertaining. WOW! Amazing. I' m living in Zamboanga Sibugay yet, I didn't know that there's a paradise hidden here. If my major subject didn't require me to promote my own place or province, I didn't discover this beautiful and fascinating paradise. I'm so proud of it. Sibug Sibugay! can I conduct a study there? We're planning to conduct field trip which one of the objectives is to assess the coral reefs there. Im from sibugay but i didnt know this place. I hope i can visit buluan soon.